Let us show you how we can help you or a loved one. Can you or a family member benefit from the help of a personal care assistant from Care With Confidence? One of the most difficult times in a person’s life can be the realization that they can’t do the physical things they used to do. 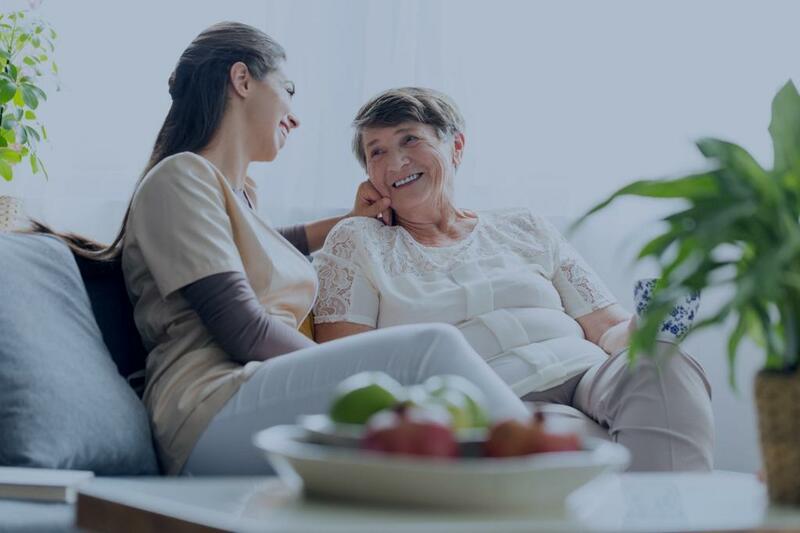 One of the most difficult decisions that a family member can make is determining whether caring for your loved one at home or placing them in a facility is the right choice. If your family member needs medical-based attention, then an assisted living home or skilled nursing facility may be your best options. If, however, your loved one simply needs personal care and attention, but within the security, familiarity and safety of their own home, then Care With Confidence is your best choice! Providing care throughout Metro Phoenix, including Scottsdale, Arcadia, Fountain Hills, Glendale, Tempe, Ahwatukee, Gilbert, Chandler, Surprise, Peoria, Sun City, and everywhere in between. We can provide help for just a few hours a day or week, or even up to 24-hours per day. We can even travel with you out of State while on vacation, or if you are a seasonal visitor. Our dedicated certified caregivers will do just as the name implies… GIVE CARE, while giving you the CONFIDENCE that you have made a wise decision and have placed them in capable hands. We offer an unlimited array of services, which we customize to fit your needs. We offer companionship and meal preparation, all the way to toileting and bathing, and everything in between. We can even take care of whole families, like getting you to a doctor’s appointment and getting kids ready and to school. We have designed our services and our caregiver training with you, our client, and your family in mind. And, we are constantly reviewing and adding services as you request them, to give you the lifestyle, tranquility and peace of mind you desire. Please check out the link to see a partial list of all we can do for you, or scroll down to learn more about our services. A parent company with over 30 years experience providing quality care. –and so much more! We invite you to contact us, give us a call, or click on the chat box link in orange at the bottom right, to find out more or schedule a very personalized, free in-home consultation to see if our services are right for you. Check out all that Care With Confidence® has to offer by perusing our menus at the top of this page. Compare our services, the quality and skills provided by our Personal Care Assistants (PCA’s), our Management Style, and our first-in-industry Quality of Service Guarantee, to all other service providers. There is a difference. Choose wisely. We have created a few tools and checklists to make your search easier. Click on the underlined text for more information about how we carefully select and train our PCA Caregivers; a complete checklist/menu of services you think you can benefit from; or our first in industry Satisfaction Guarantee. And, if you have any questions that are not answered here, we invite you to call or contact us. We are here, 24-hours a day, to help you! Like most companies, we employ a wide variety of staff, each with a unique history to share. How do we bring them all together with the same high quality skill set? Our intensive screening and training program insures that EVERY CWC Personal Care Assistant that steps foot in your home is screened, interviewed, and tested using the highest standards, and then has the same training, follows the same policies and procedures, and treats you with the respect and dignity you deserve. When you reach the decision that Assisted Personal Care is right for you, you want peace of mind that the company you choose to provide that care has the experience appropriately managing its various aspects. 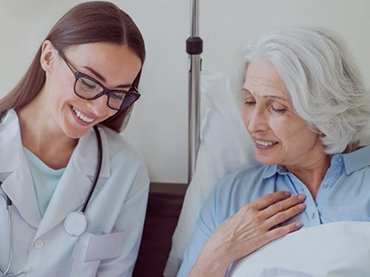 Care With Confidence is a wholly-owned subsidiary of IRS, Inc. We are local, family-owned and operated and have been in business in the State of Arizona since 1986 providing quality licensed medically trained personnel to hospitals, health-care facilities and in the home. Honest caregivers, compassionate and trustworthy. Highly recommended for anyone who needs the best care service, very competitive fees and costs. They gave such peace of mind. Highly recommended. I found care with confidence a couple years ago and they have been nothing short of amazing.... I have recommended this company to multiple friends of mine as well.... Thank you so much for all that you do. CWC did an amazing job! I called on Monday, they were here Tuesday morning. I am so happy to have finally found a company that I can depend on to do great work. Very happy with Care With Confidence. Toni is fabulous and really cares about what you need and how happy you are with the service! I would highly recommend them. Care with Confidence has been terrific. They are proactive when something comes up and great communicating along the way. They've ensured our needs are met and continue to strive for excellence. Thank you! Come meet our caring administrative staff. 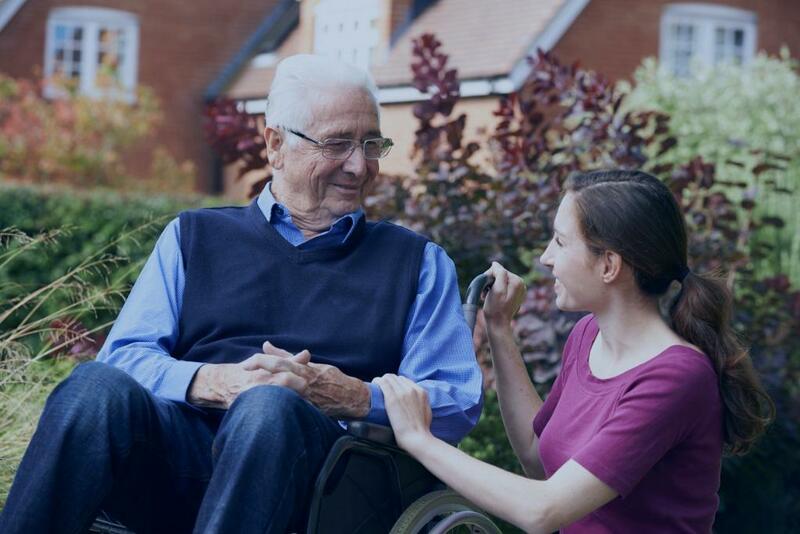 Managing a great care assistance company takes more than just phenomenal caregivers. Meet our President, our 24-hour Staffing Managers, our Education Coordinators, our marketing staff, and all the rest; and, see how we put them together to make one great service for you! A native of Whiting, Indiana and a graduate of Indiana University and ASU with degrees in Biology and Healthcare Therapy, Mark has been in the Healthcare field for nearly 35 years and spent several years working at St. Margaret's hospital in Hammond, IN where he specialized in Neonatal ICU, Adult ICU and Trauma; later focusing on epidemiology, as well. Mark was raised in Whiting, by entrepreneurial parents; his father, Marvin Finkelstein owned a successful shade and awning company, where Mark worked from the time he was eight, and Rose Finkelstein was the daughter of a grocery merchant. After moving to Phoenix in 1980, due to the colder climates affecting post-surgical arthritis in his knees, Mark worked for Scottsdale Memorial Hospital - Osborn, now part of HonorHealth Healthcare System. After experiencing the staffing difficulties with current providers firsthand, Mark founded IRS. Now married for twenty-seven years, he has three grown children - a daughter, and identical twin boys. In his spare time, you will find Mark cycling across town and in various charity races and rides. Andrea is a native of sunny Phoenix, Arizona. Born at St. Joseph's hospital and the wife of Mark for over 27 years. Her father owned Phoenix Stamp and Coin. And, both of her parents were known to own quite a bit of real estate in the valley. After graduating from ASU in Psychology with emphasis on marketing and advertising, Andrea began EVAN Advertising Concepts. After building and selling that business, she worked for MicroAge Computer Stores, and eventually became the Brand Marketing Manager for Compaq Computer Corporation. Leaving the computer industry for the auto industry, she quickly became the Fleet Department Manager for Showcase Honda, the largest Honda dealership in Arizona, where she received the prestigious "Gold Award" for the highest in sales and customer satisfaction. She left Showcase to work for her husband in 1991. Together they doubled their already large and thriving business and created the largest specialty medical registries in the country. Bobbie is an invaluable asset in keeping our day to day operations running smoothly. Responsible for maintaining current credentialing for hundreds of employees, and making sure the right hospitals have the information they need to meet JCAHO and other standards can be quite challenging. Bobbie is the first smiling face you will see when you walk in our doors, or the first voice you may hear on the phone. Bobbie has a varied background that ranges from managing Real Estate and Law Offices to working with other staffing agencies. She also emphasized business marketing and management in college. This background has uniquely qualified her to function comfortably in office management where being detail oriented is crucial, as is having a special ability to understand the psychology of motivating and managing people. Bobbie keeps her focus on appreciation of others, and you'll find her a pleasure to work with. We are proud to announce our newest executive member, Scott Westley, as our Director of Operations for our Cleaning Division. Scott has over 30 years of operations, business development, customer service and leadership experience in the federal, public and private sectors. Retiring from active duty in the US Army as a Lieutenant Colonel, Scott also earned a Bachelor of Science degree from the College of New Jersey and was awarded a Master of Arts in Human Resources from Webster University. 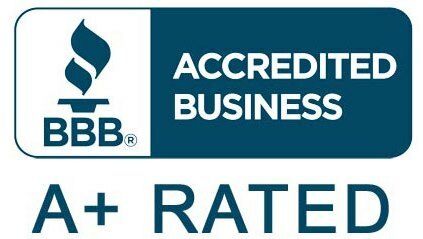 Prior to joining Care With Confidence, Scott was both a General Manager and Director of Operations for major commercial cleaning companies in the southwestern United States. Tricia has been an important part of the IRS team since 2008. Primarily the evening and weekend consultant, Tricia keeps the shifts staffed successfully and on time and makes sure our hospitals and employees have a real voice with solution-based powers twenty-four hours a day, seven days a week, 365 days each year. Tricia has been a staffing coordinator in the medical arena for many, many years; and, we rely on her skill and client satisfaction emphasis as an integral part of realizing our mission. CWC is an award-winning in-home care and assistance division of IRS, Inc., which has been providing innovative, superior care in the United States since our inception in 1986. Copyright © 2019 Care With Confidence and IRS, Inc.